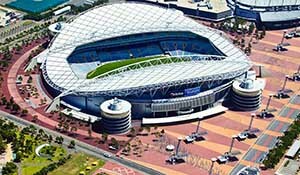 Recognised as Australia’s leading entertainment and sporting precinct, Sydney Olympic Park is a short 13 minute drive (click here for directions) from the comfort of Motel 10. Sydney Olympic Park is a destination unto itself. With a variety of attractions, restaurants, shops, world class sporting and entertainment facilities there is something here for everyone. Parking is also available throughout the complex. If you have young children then the water playground at the Aquatic Centre will definitely be on your “must visit” list. The UoS Lidcombe Campus is casual 9 minute drive (click here for directions) from Motel 10 at Greenacre. 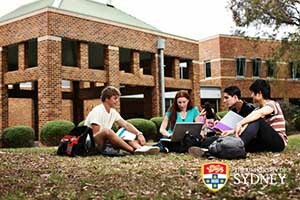 Housing the world renowned University of Sydney Faculty of Health Sciences the Lidcombe campus attracts students, visitors and teaching staff from around the world. Being so close to the Lidcombe Campus Motel 10 has become the ideal accommodation venue for visitors and teaching staff. Our range of hotel rooms is certain to provide the right configuration and price to suit most budgets. Sydney’s second biggest airport is just 7.1 kms (click here for directions) Motel 10. Servicing many NSW and Australian regional areas Bankstown Airport does not operate on a curfew which makes it popular with after hours flights from regional areas as well as charter flights. 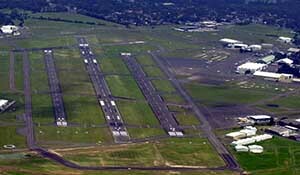 Bankstown Airport also has a number of highly reputable flight training organisations with part and full-time courses.